In the Healthcare Market today controlling the costs and accountability of data is more important then ever before. The push to adopt EMR (Electronic Medical Records) is creating new data management challenges for most IT Directors today. These challenges can be from new applications, enormous amounts of data needed to be stored for longer periods to access information in milliseconds. G/S Solutions has expertise that can be seen from new EMR requirements all the way through to Durable Medical Equipment Tracking. Our expertise across both data center and data collection and management solutions makes us an ideal partner for your healthcare IT needs. Flash Storage is a dynamic innovation for performance enhancements. These server neutral devices are easily implemented, and provide immediate and substantial performance metric improvements for primary and ambulatory EMR's. G/S Solutions has deep experience implementing the IBM FlashSystem 840 as shown in this video. Want to see our High Availability and Disaster Recovery services for healthcare in action? Check out our latest case study. We examine our approach with a large provider in Michigan, from an initial roadmap through implementation for IBM PSeries and AIX services. 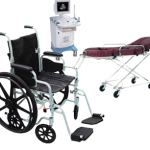 G/S has developed a medical equipment tracking solution that allows hospitals to track patient equipment being used from wheelchairs to hospitals beds when the patients is in the hospital. Our solution helps you track equipment that is placed off-line by your Bio-Medical Engineering department waiting to be certified and return to the floor. As well as tracking equipment that has been sent out for repair. Whatever the reason, the equipment is not available for use by the staff. We can develop metrics and reports that give management warnings when equipment on the floor is getting low and when it is due to be placed on-line again. Our solution can interface with your current inventory system or asset tracking system you have today. We can have you up and running in months not years from the time you say go. 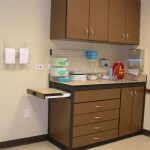 Streamline your supply cabinet stocking methods and ensure that your treatment rooms have the medical supplies you need before patients arrive for care. Our Medical Supply Cabinet Inventory solution combines the robust, code-free form design capabilities of MobileFrame with leading scanning tools from Honeywell to provide an easy to use integrated solution that is easily modified to your specific needs. Eliminate all the paper used to collect and process meal requests and dietary specifications with our electronic patient meal ordering solutions. G/S will develop a system that will automate your paperwork and allow patients and medical staff to have all of the information electronically sent to the Food Service Department without generating a single piece of paper. 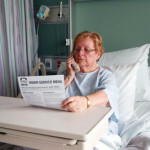 We improve patient satisfaction by delivering meal choices that fit patient nutritional requirements. To improve service for the patient we also have a notes field were information can be added for special needs or additional requests. Improving medical care at the point of patient contact is one of the most important goals in the healthcare industry today- and wireless barcode scanning promotes accuracy in all aspect of patient care. Properly mounted scanners and printers make it easier to execute tasks and results in improved workflow, freeing both hands for easier handling of medications and interacting with keyboard and mouse to record exceptions and make notes. Thoughtful positing of the scanner in line with the computer screen keeps the clinician's attention on interactive messaging with the EMR system.